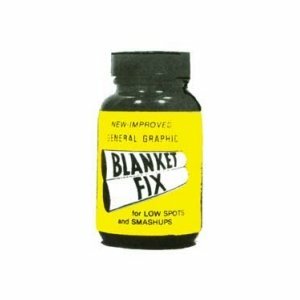 Blanket Fix fills in low spots and dents quickly without removing the blanket from the cylinder. This blanket repair comes in a 4 oz. container.